Back for another year, the 2016 Toyota Camry sedan offers plenty of standard and optional features that’ll appeal to a broad range of drivers. Toyota offers the 2016 Camry in eight trim levels, including LE, SE, Special Edition, XLE, XSE, Hybrid LE, Hybrid SE, and Hybrid XLE. 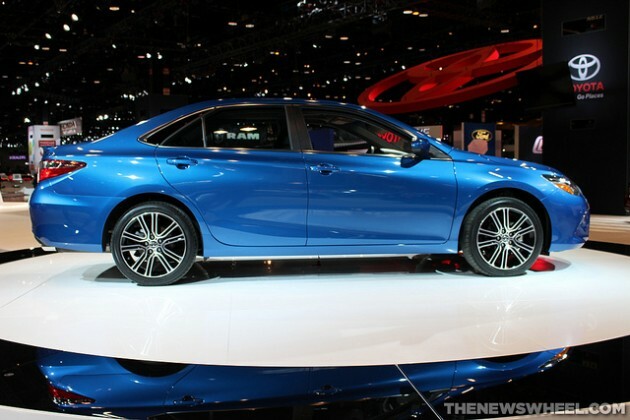 What’s New for the 2016 Toyota Camry? 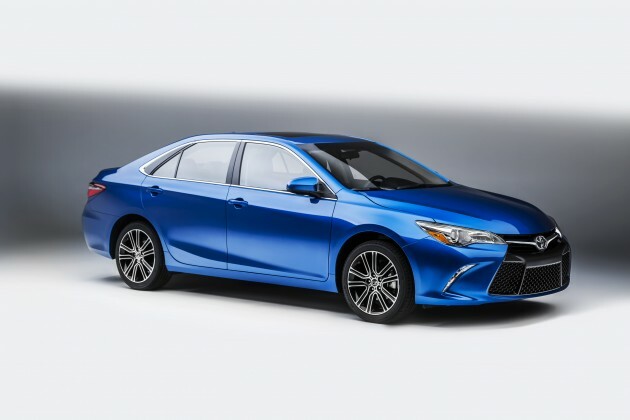 For 2016, Toyota is introducing a new Special Edition Camry with a starting MSRP of $25,715. The Special Edition gets a power moonroof, 18-inch alloy wheels, smoked taillamp treatment, exterior color choices of Blue Streak Metallic or Blizzard Pearl, push-button start, dark blue interior trim, and Entune Audio Plus with Connected Navigation. 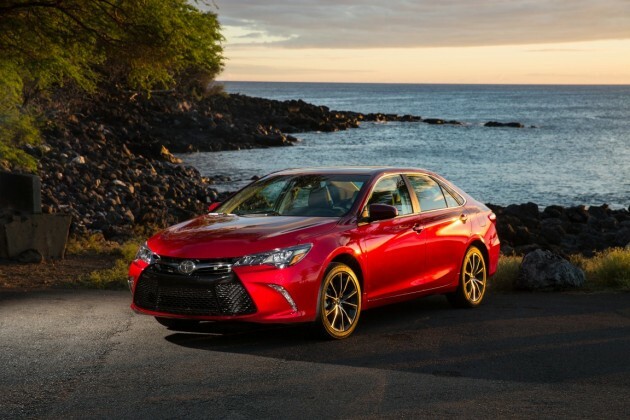 The 2016 Camry boasts exterior options like a distinctive sport mesh front grille, LED headlights and daytime running lights, gloss-black-finish or machined-finish 18-inch alloy wheels, and a dual chrome-tipped exhaust. The combination results in a surprisingly dashing sedan that’s arguably more attractive than its competitors. It’s hard to be stylish in some sedans, but the Camry’s sleek style makes it much easier. 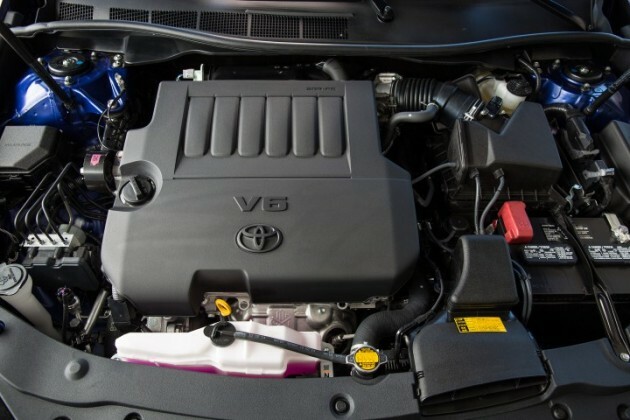 The 2016 Toyota Camry is available with three engine choices. The base 2.5-liter four-cylinder motor is good for 178 horsepower and 170 lb-ft of torque, and is mated to a six-speed electronically controlled automatic overdrive transmission which sends power to the front wheels. This engine is standard in all non-hybrid models. The second engine option is a beefy 3.5-liter V6, which pumps out 268 hp and 248 lb-ft of torque. This engine is available on the XLE and XSE models. Finally, all three hybrid models are powered by a 2.5-liter four-cylinder hybrid motor which gets 200 horsepower, and comes with EV and ECO modes. The hybrid engine is mated to an electronically controlled continuously variable transmission (CVT). The base four-cylinder engine yields a respectable 25 mpg in the city and 35 mpg on the highway for a combined rating of 28 mpg. Choosing the V6 will knock those numbers down to 21/31/25 mpg city/highway/combined. If you want to really save money at the pump, the best option is (unsurprisingly) the hybrid engine. In the Hybrid LE model, it gets 43 mpg city, 39 mpg highway, and 41 mpg combined. Opting for the Hybrid SE or Hybrid XLE means slightly lower, though nonetheless still impressive numbers of 40/38/40 mpg city/highway/combined. Inside the 2016 Toyota Camry awaits a peaceful haven that’ll keep you calm, comfortable, and entertained while on the road. Front sport seats with bolsters are available, either in sport or Ultrasuede trim. 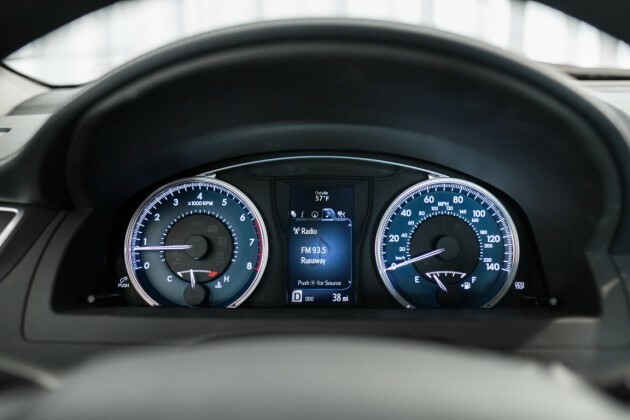 The Camry SE and XSE offer paddle shifters for a sportier ride, and each model’s center stack allows driver and passenger to easily navigate the infotainment system without losing focus on the road. The 2016 Camry is also much larger on the inside than you would expect. Rear-seat legroom can be as much as 38.9 inches, meaning even tall back-seat passengers won’t find much to complain about. Additionally, the Camry offers 15.4 cubic feet of cargo space—by no means comparable to a hatchback or crossover, but on par with competitors like the Honda Accord and Nissan Altima. 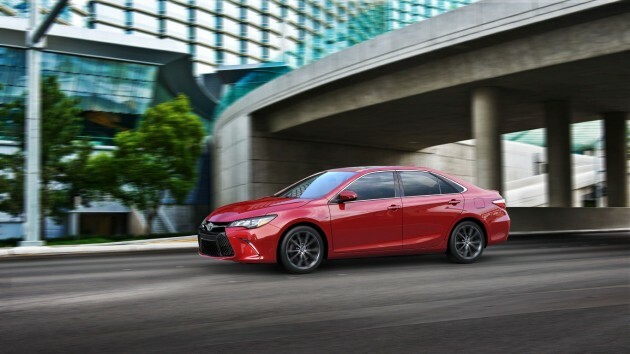 The usual standard safety features—airbags, child seat tethers, stability and traction control, tire pressure monitoring—are found inside the 2016 Camry, but there are a lot of high-tech options you can choose to make your car safer than ever. These include a blind spot monitor, lane departure alert, and dynamic radar cruise control.